A new Bojangles' is planned for Flowery Branch next year. The new Bojangles' will open on Friendship Road near Spout Springs Road. Another new Bojangles' is nearing completion in Lawrenceville and should be open early next month. Eleven45 Lounge has replaced Klass Restaurant & Lounge on Peachtree Road in south Buckhead. Klass itself replaced Frank Ski's Restaurant & Lounge in the space once home to Mick's. Public School 404 (PS404) a new gastropub from Woodland Hills-based Grill Concepts, plans to open on the Westside next year. The new nearly 5,000 square foot eatery will open alongside The Painted Duck at "The Brady" on Brady Avenue. A new Sprint kiosk will open soon on the second floor of Lenox Square between Godiva and Abercrombie & Fitch. The kiosk replaces a similar kiosk elsewhere in the mall. A soap kiosk previously operated in the area where the new Sprint shop will open. A new women's jewelry & accessories boutique called River Mint Finery is scheduled to open today in Peachtree Battle shopping center. The shop is situated between Frolic Boutique and Woo Skincare & Cosmetics. The first Atlanta area location of Amazing Lash Studio opens this week in north Buckhead. 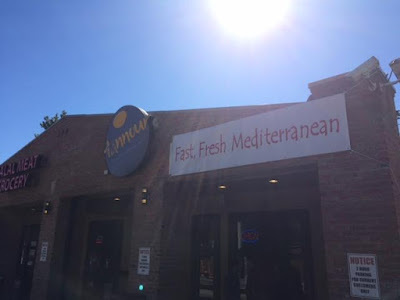 The business is located in the Roswell Wieuca, the Fresh Market-anchored shopping center. Houston, Texas-based Amazing Lash Studio has over 60 franchised locations nationwide with more on the way. The business offers "extremely lightweight"eyelash extensions. A second Atlanta area location is reportedly already in the works. Dulce Vegan Bakery & Cafe plans to officially reopen today after months of renovations. The popular bakery renovated and expanded their existing space on Hosea L. Williams Drive in Kirkwood. The Chick-fil-A at CNN Center has closed temporarily. The location will reportedly move to a temporary spot elsewhere in CNN Center while its existing location is renovated and enlarged. Chick-fil-A will grow in size to include the adjacent space, formerly a Wendy's. Thank the vegan gods that Dulce Vegan is reopening today. I was starting to get worried that they were gone for good! They catered the desserts at my wedding and they're all-around fabulous. Just great food, vegan or not.